Imagine driving down a highway, smoke fumes engulf the vehicle and you can almost taste burning garbage within the car. Some lakes and rivers are too polluted to swim in. We don’t have to imagine this. We live in northern Moldova, where smoke from burning waste can engulf entire villages. We’ve found many environmental challenges here during our service as Peace Corps Volunteers. Every type of solid garbage is burned, tossed or deposited in landfills. Trash cans overflow because waste management companies are poorly organized and underfunded. 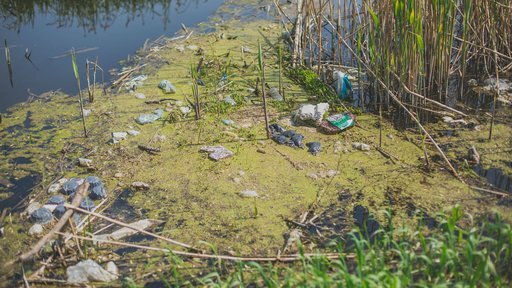 Some lakes and rivers are too polluted to swim in. 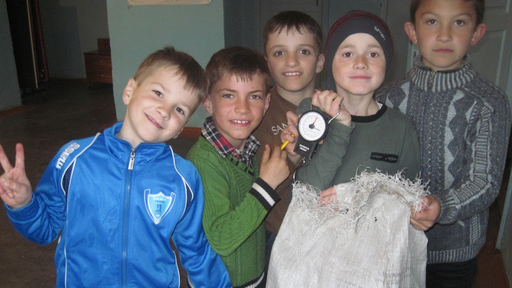 Students in northern Moldova gather for a clean-up project. In the spring of 2016, shortly after we moved to our posts, we teamed up with a small but passionate group of local youth determined to combat environmental problems, especially the lack of recycling. With help from a Peace Corps SPA grant and Jeff Liu, a Peace Corps volunteer from Texas in the group ahead of us, we started a recycling competition called “We Win When We Recycle” with eight schools in and near Moldova’s second largest city, Bălți. Their results exceeded everyone’s hopes. More than 4,000 students participated, twice as many as expected. In less than two months, they collected 28,700 kilograms of paper and 1,045 kilograms of plastic for recycling. Children also began telling their parents to stop throwing plastic bottles away. Their success inspired youth in the nearby town of Rîșcani to expand this model to six more schools in the fall of 2016. Their effort included ecological seminars, a flash mob and park cleanups. 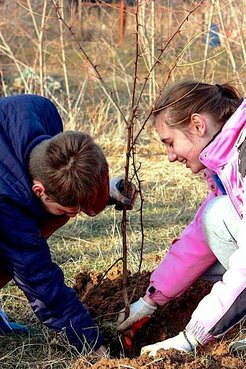 "Let's Recycle, Rîşcani!” embraced the school competition model and encouraged nearly 2,000 community members to learn about ecological issues. It has recycled more than 30,000 kilograms of paper and plastics. A biology teacher inspired by the students made the environment a focus of her teaching. Students recycle materials at a school in Rîșcani. The movement has kept growing in northern Moldova. 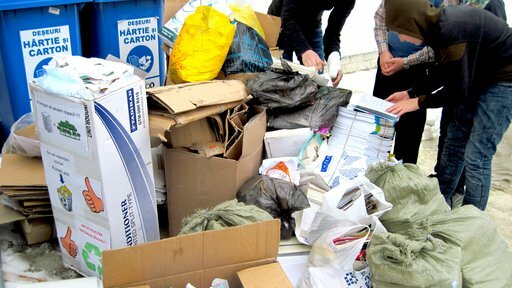 Fourteen educational institutions in Bălți, Rîșcani and three surrounding villages now have recycling bins and are actively collecting plastic, paper and cardboard. 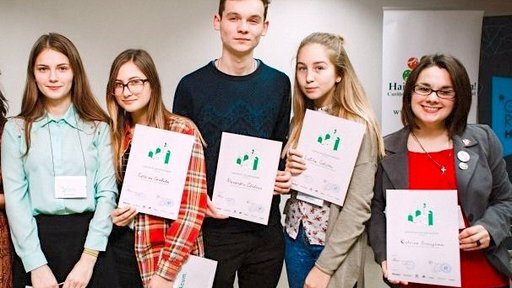 Thirty students from these schools are in the process of forming an NGO called "Țara Verde" (Green Country). 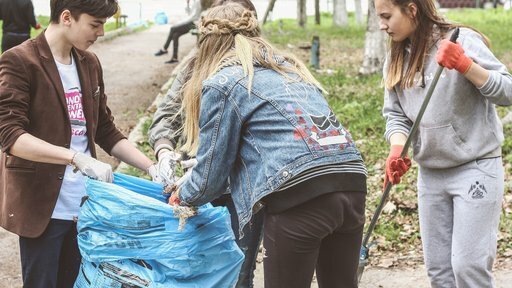 This past spring, they organized an ecological forum to connect local public authorities, NGOs, businesses and citizens to tackle environmental problems together. More than 250 people took part. More recently, the recycling program has expanded to the entire country in a pilot project called “Let’s Recycle, Moldova!” that includes 16 additional schools from ten regions. Not everything has been a success. We still haven’t figured out the best way to transport recyclables. Few companies exist outside of Moldova’s capital to regularly visit each school and pick up material. We must collect at least five tons for a pick-up or else hire a private driver. When we have a smaller amount of recyclables, transportation costs reduce our revenues. Overall, though, this has been a great development experience for the students, especially our group leaders Sandru, Olga, Iulia and Nastia. They are a truly inspiring bunch who have done amazing work with only some a small push from us. Sandru wanted to leave Moldova to work in construction in Russia; now he is the elected president of "Țara Verde", loves what he is doing and constantly comes up with new project ideas. Olga thought she couldn’t do anything for her country and is now the head volunteer coordinator and manages the recycling program in Bălți. Iulia was a project assistant in another organization and is now a co-founder and leader who wrote the statute for "Țara Verde". Nastia works on organizational projects, arranges recycling transport, trains student leaders and creates brochures. It is so exciting to see how much has changed in the last two years, for both the students personally and the situation generally. There has been a surge of interest in environmental issues among young people. Many students are recycling instead of littering. Volunteers are independently collecting recyclables. Student leaders and others now see themselves as part of a global ecological movement. They are the ones who will carry on this work after we leave. For both of us, and for Jeff, they have been amazing teammates. We are grateful to have had this opportunity to work alongside them. We hope their efforts will inspire more people not only in Moldova but in other countries. Indeed, we would love to hear from anyone pursuing similar projects through Peace Corps or elsewhere around the world. Katrina Broughman, from rural Virginia, is completing her service as a Peace Corps volunteer teaching English and promoting recycling in Rîșcani, Moldova. Bartosz Gawarecki, a Peace Corps volunteer from Michigan who has been working on community development and recycling in Bălți, is extending until August 2018 to continue this effort.